Fabulous Bonuses for Joining The Art of Home Club today! 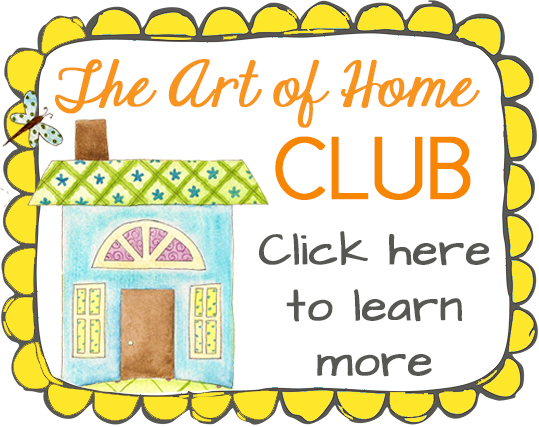 Today we opened enrollment to The Art of Home Club! 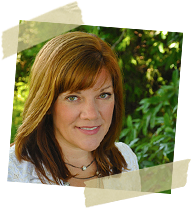 There are soooo many bonuses that you will receive as soon as you sign up! A new project pattern every month. These are usually small, quick projects that you can get done quickly, like table runners, mini quilts, tote bags, pillows, ornaments…. Sometimes, we will also have larger projects which can be completed over several months. Many patterns have a choice of embroidery and applique patterns. A new collection of adorable embroidery patterns every month. Mystery Sew Alongs. These are really fun! You will receive a small part of a larger project to work on each month, but you won’t know what the final project will be until the end when we put it all together! Helpful tips for mixing and matching your projects and patterns. For example, you could use Month #1 embroidery patterns with the Month #3 project- YOU get to be the designer! Tips and instructions for making the projects without embroidery, for when you need to make something really quick! 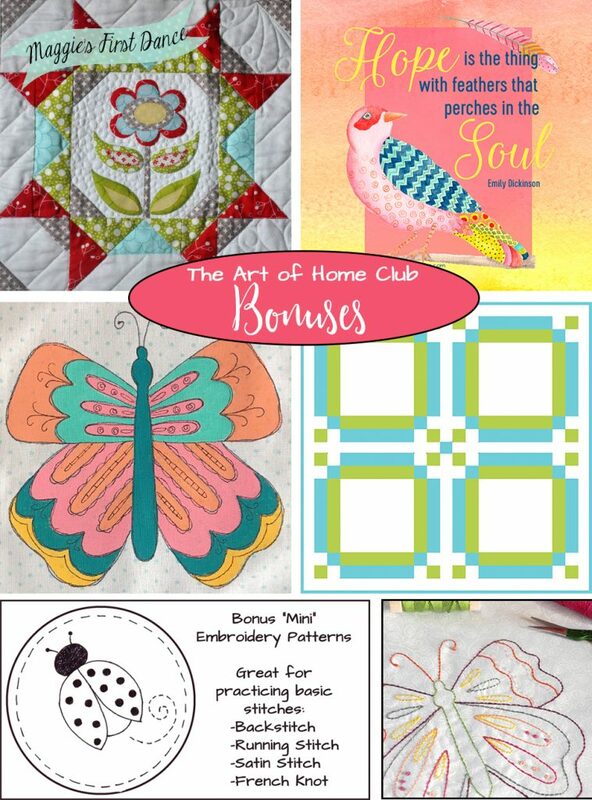 Club Bonus Projects and Patterns that expand your creative possibilities even more! Plus, occasional bonuses like printable coloring pages, gift tags, note cards, etc. You have 24/7 access to your patterns, videos and content. Log into your account anytime to download patterns and watch member exclusive videos. Free Block of the Month Patterns included with membership- no need to sign up for the BOM each year. Community. Share your projects, tips and questions with other members in our Members Only Private Facebook Group. Live “Sew Along” Days. We will get together a few times per year for a “virtual sewing bee” where we can work on our projects, chat, have giveaways and fun! These events will be exclusively for Club Members only! Member of the Week. Each week, we profile a different Club Member- it’s a really fun way to get to know each other and make new friends! Exclusive Member Discounts – save 10% on books, fabric, patterns and notions in our shop EVERY DAY. “Grandfathered” Pricing. As long as you remain a member in good standing, your price will never go up! Additional Collection Purchases. If you are interested in previously issued collections, you have the option of purchasing them “a-la-carte” as long as you are an active member. These collections are available ONLY to Club Members. All of this and more for just $9.95 per month! Wow- that’s less than the cost of ONE well-written quilt pattern! Here’s a video that I shot to show you some of the fun things we will be doing in The Art of Home Club this year! Don’t forget- enrollment ends November 15, and then we won’t open again until sometime in 2018! Hope to see you in the Club! This article was posted in Clubs, Crafts & DIY, Embroidery, Featured, Fusible Machine Applique, Sewing & Quilting, The Art of Home Club. Bookmark the permalink. Follow comments with the RSS feed for this post.Post a Comment or leave a trackback: Trackback URL. Thank you for my BOM patterns. I am looking forward to getting started on the art club products. Since i joined the club today. I am excited for all the fun. Hope I got myself signed up for the next year. Think I did it a few days ago. But did not receive anything about payment. Did I goof up and not do it right? Was just reading a magazine with your poinsettia table runner pattern in it. Very nice.